The Department of Environment and Local Government has approved the environmental impact assessment for the Sisson Mine project, subject to 40 conditions, Environment Minister Brian Kenny said on Thursday. "Our approval of this project follows a robust review and consultation. The assessment has been thorough, open and represents proactive and preventative planning," Kenny said in a statement. The provincial government said the company must follow 40 conditions laid out in its approval. "Our government made a commitment to ensuring clean air and water and a safe environment. We feel confident the project can uphold these commitments while generating much-needed employment," he said. 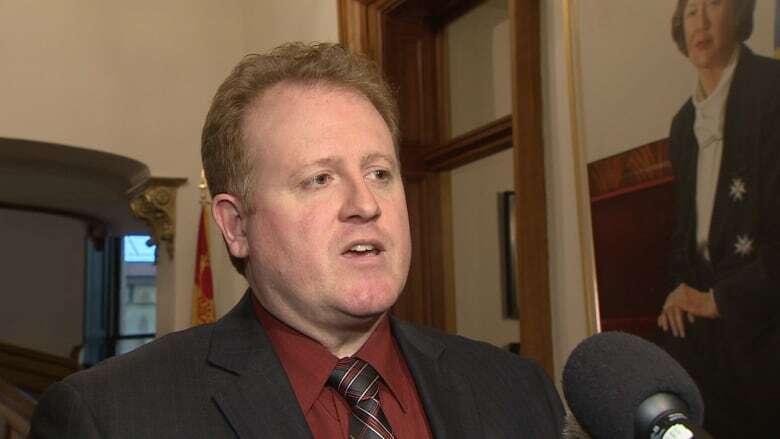 Environment Minister Brian Kenny announced environmental impact assessment approval for the Sisson Mine project Thursday, subject to the company meeting 40 conditions. (CBC)The provincial government's approval makes sure the company protects water quality and quantity, fish habitat, wetlands and archaeological resources. The Department of Environment and Local Government is also requiring that "appropriate" monitoring and emergency response plans be put in place. The Sisson mine would be built on 12.5 sq. km of land, north of Fredericton near Napadogan. Northcliff Resources has said it will cost $579 million to build the mine. The open-pit molybdenum and tungsten mine is expected to create 500 jobs during its construction and 300 jobs during its operation. One of the conditions of the EIA approval is dependant on the project starting within five years. Chris Zahovskis, the president and chief executive officer of Northcliff Resources, said the company can meet that condition. "Certainly there many other things we need to put in place but I would say yes," he said. "There aren't too many companies that have enough money in their coffers to go and build a half-billion dollar project. So we have said all along, EIA approval will help in derisking the project to allow us to pursue the next steps." The next steps are a federal Environmental Impact Assessment and finding other companies to help finance the project. 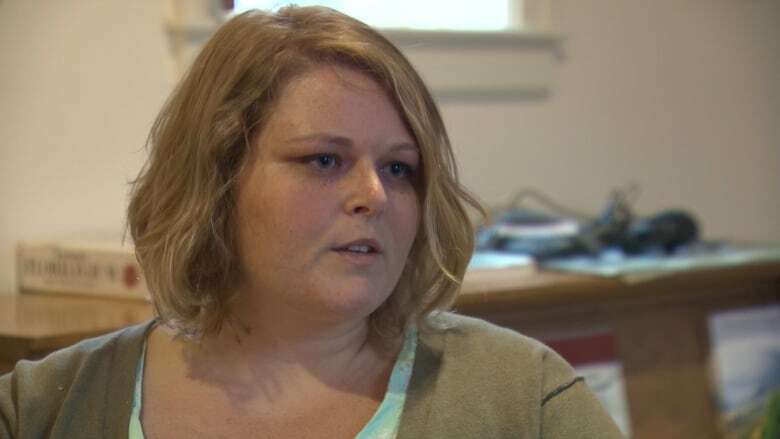 Stephanie Merrill of the Conservation Council of New Brunswick was surprised the province announced approval for the Sisson Mine project Thursday. (CBC)Stephanie Merrill of the New Brunswick Conservation Council was surprised to see the approval announce Thursday, given that an independent review panel report on the project hasn`t been released yet, despite a requirement that it be done so prior to EIA approval and conditions being released. "The best-case scenario [is] this is a signal that New Brunswick is open for business," said Merrill. "But really this is lipstick on a pig and at the end of the day it's still a pig." 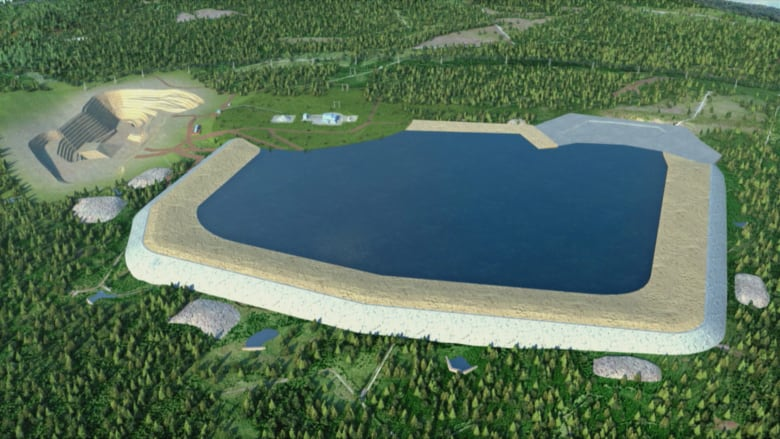 The Canadian Environmental Assessment Agency has requested additional information from Sisson Mines Ltd. about the environmental effects of the project. Once the agency receives the information, it will draft a comprehensive report on the project and invite the public to comment. "We have not been given any indication from the federal government that that is coming any time soon," said Merrill, noting the Conservation Council is recognized as an intervenor on the project. The mining project has been controversial in the rural area that surrounds the proposed site. Hundreds of people crowded into a high school gymnasium to discuss the EIA during the summer. Many of the mine's supporters spoke about the need to attract jobs to the rural community, while opponents raised questions about its environmental impact. Despite the opposition, Zahovskis said he believes the company has the social licence to go ahead with the project and he credits the work done in the last five years to engage stakeholders and First Nations. "Through that time we've received, we feel, a significant amount of positive support, so all in all, I would say, that there's good support from both stakeholders and First Nations on the project," he said. "Surely there are going to be some pockets where there's going to be discontent but I would say overall our efforts have been genuine and they will continue. So far I think we have good support."